Author Name Mails, Thomas E.
1st edition (1991). VG plus with just alitlte wear to top of spine tab - no other wear. no markings. 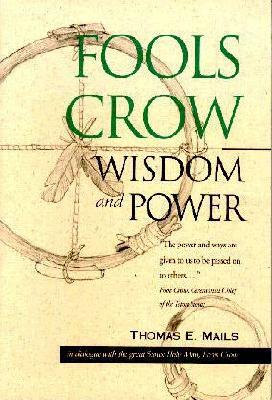 In this astounding book, Frank Fools Crow, ceremonial chief of the Teton Sioux and one of the greatest Native American holy persons, explains traditions and practices that bring spiritual power to ordinary lives. Mails says of his subject: "No other eminent holy person has ever, or perhaps could ever, so plainly have revealed how he knew what he knew and how he did the things he did".